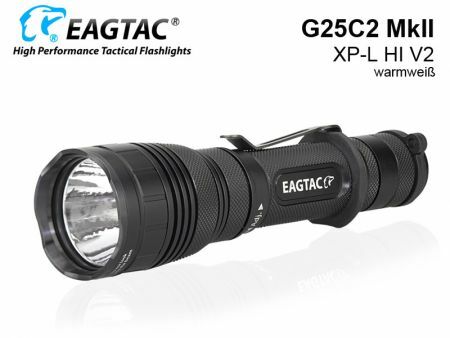 The EagTac G25C2 MkII is a handy LRED flash light with 1.003 lumens and a lighting range of approx. 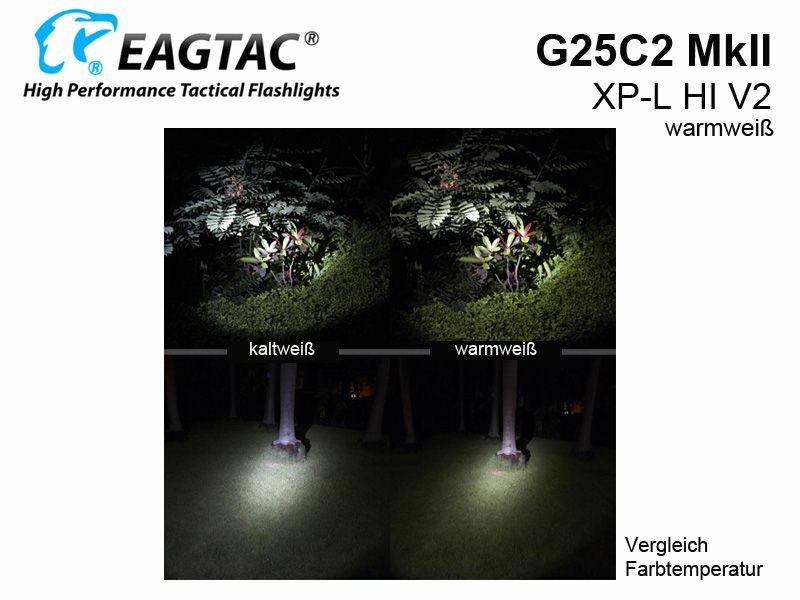 400 m.
The G25C2 MkII convinces with a high quality design and a comfortable handling. The main switch is in the end of the battery tube. By default the flash light is equipped with a so called “cigar holder”, which allows a safe hold of the light between two fingers and like this an easy operation of the power button. This ring can be replaced by a flat tube. 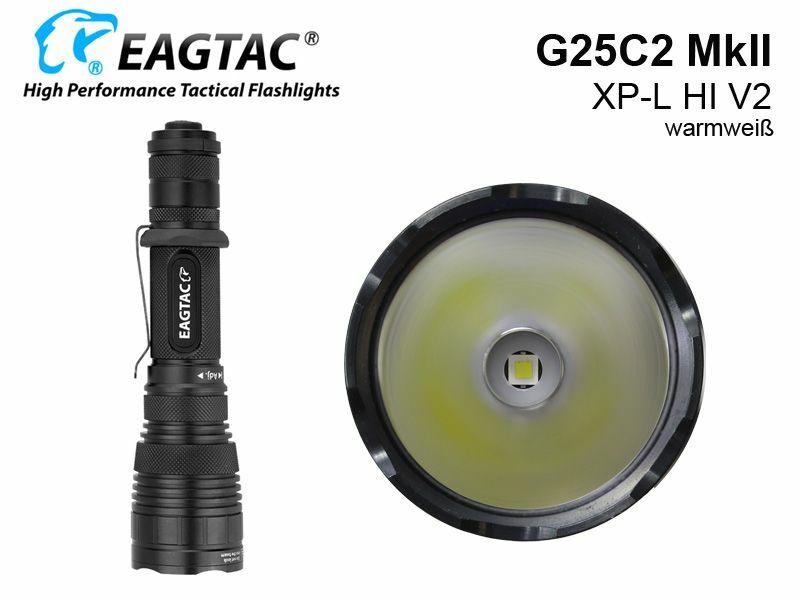 The different output levels are chosen by turning the lamp head. 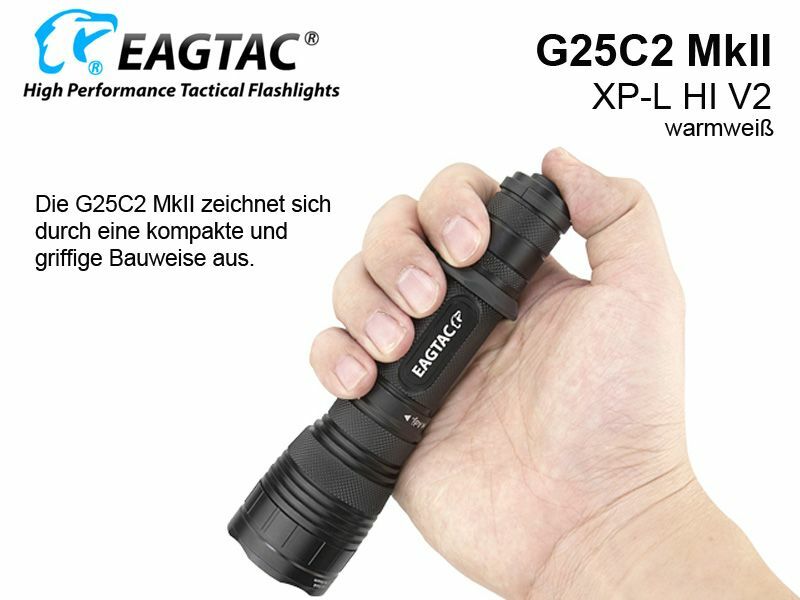 To activate the auxiliary modes, like SOS, beacon or strobe, the lamp head has to be turned from level 1 to level 3 and back in one second. 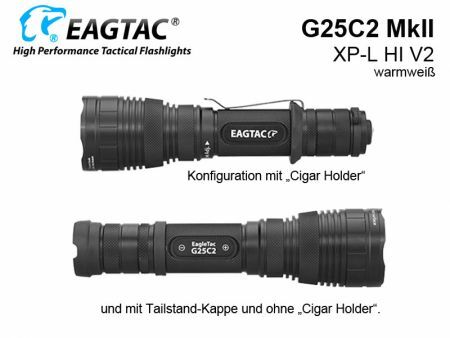 To make the G25C2 MkII tailstand capable, a rubber boot, that has to be put over the end of the battery tube, is included in the delivery content. For an efficient current control the G25C2 MkII is equipped with a C3300 Extrem4 buck converter. This provides a constant current regulation at all output levels without flickering. At the highest level the output is automatically diminished to 936 lumens (or 790 lumens in energy safety mode) after 200 sec. This Product was added to our catalogue on Friday 19 February, 2016.